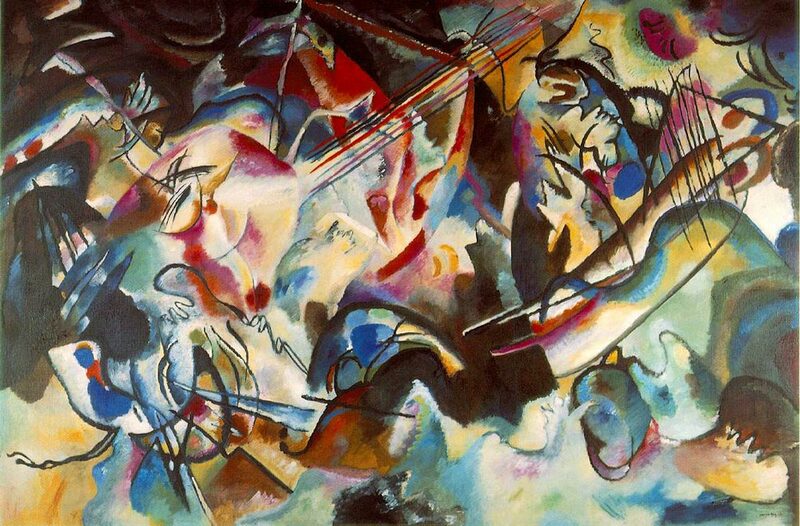 It took Wassily Kandinsky almost 6 months to create Composition VI which was published in 1913. Initially, he intended the artwork to evoke baptism, flood, destruction as well as rebirth. Composition VI is regarded as Wassily’s most thought-provoking piece. The painting comprises of a collage of a variety of semicircles, twisting lines and vibrant burst of colors. Twirl piles of matter spread all over like waves lit up by lightning flashes and soaked in thundery rainfall. This seems to create a universal calamity impression. At first, Wassily outlined the piece on an oversized wooden block, but experienced an artistic block soon afterwards. He was unable to continue working on the painting. However, his assistant told him to release himself from cerebral trappings surrounding the artwork. To achieve this, Wassily was to repeat the word uberflut, which means flooding; and then focus on the sound of the word instead of its meaning. This way, he was able to release himself from the artistic block by focusing on the music of the word and finished the piece in 3 days.